I have got the book 1,000 Places To See Before You Die by Patricia Schultz – and enjoyed it. But it is a bit ambitious for me. So I thought I would try to come up with a list of 10 places I would like to visit and then I ended up with 12. Rugged coastline. Pacific Grove which is a resting stop for migrating monarch butterflies. Cute and artsy Carmel-by-the- Sea. Monterey Jazz Festival. Pebble Beach Golf Links. Clint Eastwood was the Mayor. A train from Edinburgh – said to be a 5 star hotel on wheels. Great views of the Scottish highlands. A great Irish inn with a wonderful cooking school. Lovely beaches. The Hotel du Palais. A classic casino. Studded with picturesque towns, glorious food and wine. Has to be included although possibly too touristy for me. Perivolas Hotel. Exquisite coastline but same touristy issue as Santorini. Wonderful architecture and art. Only downside is that it is in Spain. Great wines and good food. Wow,love your list. Drool! I've done some world traveling, but I'm on US tour for at least the next three years. I've been wowed by the lesser known places, but those you mention, MIGOD. What a wonderful world we live in. To think, I can even do it. Thanks for stopping by my blog. This looks like a glorious choice - but I reckon my part of the world could hold its own against any of these! It also has one of the friendliest populations you could meet anywhere! Go on, make it 11! Hello Carole -- Thanks for your comments on my blog "Provence Today". From reading yours I can tell we are kindred spirits, liking the same places. I also am a woman "of a certain age" - hence weary of Facebook, Twitter and the like, but very happy to make connections like yours. I'll gladly follow your blog. Well done! Many thanks Carole. Re: Lisbon--don't forget to add my favorite island, Madeira, as well as the Douro River cruise out of Porto. I've been to 2 of those, Santorini and Monterrey. They all look like great destinations! Great list! I was pleasantly surprised to see Monterey on here. It is gorgeous, and I think it gets overshadowed by a lot of larger cities in California. Great you liked the list. Would love to see other people's - would probably find lots to add to mine! It's not on the list for 2 reasons. One is that I have been there - although many years ago now. The other is the political situation there makes me feel other places may now be a better choice for me. Thanks for the comment. Thank you for your recent interest in my blog. Your bucket list sounds pretty wonderful. On my flight over to Barcelona last June I ended up sitting next to a kind man from Bilbao. I think you will be pleasantly surprised by the lovely Espana. thanks so much for taking the time to comment. I would just love to go to the Guggenheim. This inspires me to make my own list for this year. I agree that the 1000 places is a bit much for one lifetime. Great list! Thanks for checking out my list as well. Cheers! Lisa from the cardiologists wife. I love your bucket list and I hope you make them all. I'd love to visit Greece and Italy myself! Santorini looks heavenly this morning as it is dark and pouring rain right now. You have a lovely blog here. Lisa, what a lovely comment. Comment of the week so far for me. Thanks. thats a really interesting list. really thoughtful and no cliches. I hope you tick them all off. Fab list! I need to do this post too, have way too many 'want to go to's in my head! I highly recommend Cliveden, my Great Uncle was Head Gardener there in the 1970s/80s, long before the hotel/National Trust years, and I spent many happy days roaming around the grounds as a child. I still love to go back now, although I resent paying! Also LOVE Santorini, it's surprisingly untouristy really, and SO beautiful - it's also where we got engaged. Come to think of it, I'd need to do a 'want to go back to' list as well!! Woo hoo! Now I definetely need to go to Cliveden! Thanks for stopping by my blog! I love your list and have hit a few of these. We celebrated an anniversary at Cliveden one year and I walked their grounds often as it wasn't far from where we lived in the UK. The dinner there makes my list of best meals ever eaten. Cliveden is every bit as gorgeous as the pictures. Strasbourg is one of my favorite cities-like a fairy tale. Hubs and I celebrated our 20th wedding anniversary on the Amalfi coast. Italy is what I like to call my happy place. If you get there I recommend the Hotel Santa Caterina in Amalfi...its part of the Leading Small Hotels of the World. And don't go in the absolute height of the season as the traffic on those charming but narrow roads is crazy. We went the week before Easter, early April, which was lovely. I'm sure September is a wonderful month there too and those times feel much less touristy than summertime. I hope you get to all the places on your list! Great advice. Thank you so much for your lovely comment. Wouldn't it be nice if we could just, up and go to all these places. My mother is lucky, as she has travelled a lot over the years. I will have to settle for seeing Canada and USA for the time being. I was to Australia, two years ago, but only saw the area around Adelaide where my daughter lives. It would take a long time to see, even a fraction....Good luck with your travelling, the world is a huge place to see! 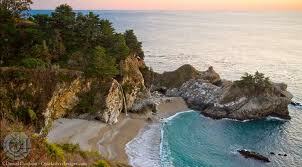 Loved the Monterey Peninsula, California and Positano Italy is my very favorite!! Ireland is still on my Bucket List!! Thanks so much for taking the time to comment. Glad you liked the list. Great choices! I would probably travel more if I could just beam myself instead of having to catch a plane, lol! Wouldn't that make such a difference! I guess it will become a reality one day. This is a great post! Gave me ideas for places I need to consider for my own list. Thanks for checking out my blog. Omg such a great list! Thanks for sending me the link to it! All of those places look amazing! You are a star for stopping by! Now THAT'S a travel list! I'd be happy to get to even ONE of those places -- I don't even have a passport! Oh well, I can live through Rick Steve and his travels! Loving your list and it made me think of where I've been and where I'd like to go. By the way I loved Prague - was there a couple of years ago for a long weekend. I know it takes time to comment, so thank you very much. Wow. You are a star for stopping by! feel free to visit my other blogs..
following this blog of yours..
Out of the twelve photos, I had been to three only. I wish can travel to Prague as one of my friends told me you will not regret after visiting Prague. Thanks Carole, you have inspired me to create my own travel bucket list! I would love to go to Santorini, Greece when I have a chance. Hey that's great. Welcome aboard. Thanks for introducing me to your travel bucket, you have some great photos! It is also my dream to visit as many places in the world as possible. *Swoon* These look so nice. Ah! I might steal the idea for a random rambling post on my blog. Hmmm... lots of wonderful destinations you've chosen on your bucket list. You'll love both the Hunter Valley, in NSW and the Barossa Valley, in SA. The Great Barrier Reef and the Daintree Rainforest are also spectacular places to see in Australia. This is a great travel bucket list! I think I would love to travel someday. I hope you get to all these places and more. Great list! Out of those I've been to Santorini and Prague - both gorgous and well worth the trip! I'm heading to Kyoto in September ( my boyfriend and I are leaving our jobs and backpacking for 2 years across Asia and Europe - with Japan as our first stop)! If I wrote a travel bucket list, I'd include a couple of yours for sure like The Royal Scotsman and Monterey Peninsula. I'd love to visit Italy, especially Venice and I'd love to see the house of Frances Mayes of the "Under the Tuscan Sun" fame. Add to that all of Britain and Scotland, New Hampshire and Vermont (in the autumn), the maritime provinces, Hawaii. I really could go on and on. Terrific idea. Will you be acting upon this list in the near future? Great choices, You should do the Alsace Lorraine area around Christmas-the Christmas markets are great. Love the Monterey Pennisula and Prague is fantastic. Beautiful! Great list. I hope you get to visit them all one day. :) Visiting from Crazy Mama's blog hop! Last week I went to the island of Santorini. It was like a dream. Other notes I wrote here in Santorini.